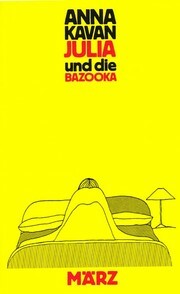 Julia and the bazooka introduit un nombre restreint de protagonistes évoluant dans un environnement sans nom. 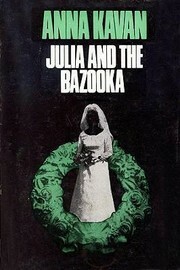 Julia and the bazooka, publiée pour la première fois en 1970, est une œuvre posthume. 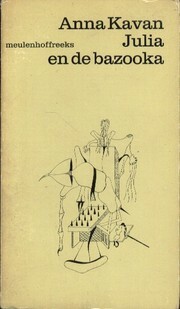 Elle a été éditée à 9 reprises, la dernière édition datant de 2009. 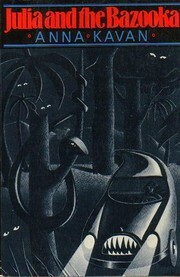 Here are fifteen startling stories that reflect the weird, thrilling realm into which this brilliant English writer's dangerous life and powerful artistic drive propelled her - thirty years of seesawing stability and chaos: constant drug addiction, suicide attempts, productive work in painting and editing, two marriages and a son, long sojourns in mental hospitals, widely admired novels and short stories. 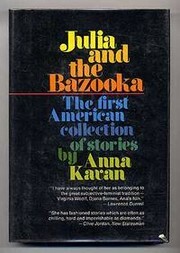 Her stories penetrate the black holes of human consciousness and perception, a region of hypnotic games and seductive hallucinations where everything is animate, where the vertiginous panic and tough pride of the outcast merge with a tender, tranquil appeal to what is beautiful and lasting. 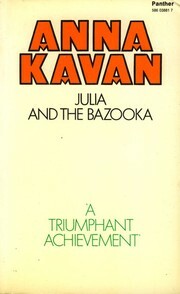 (From the book jacket,first american edition published in 1975).